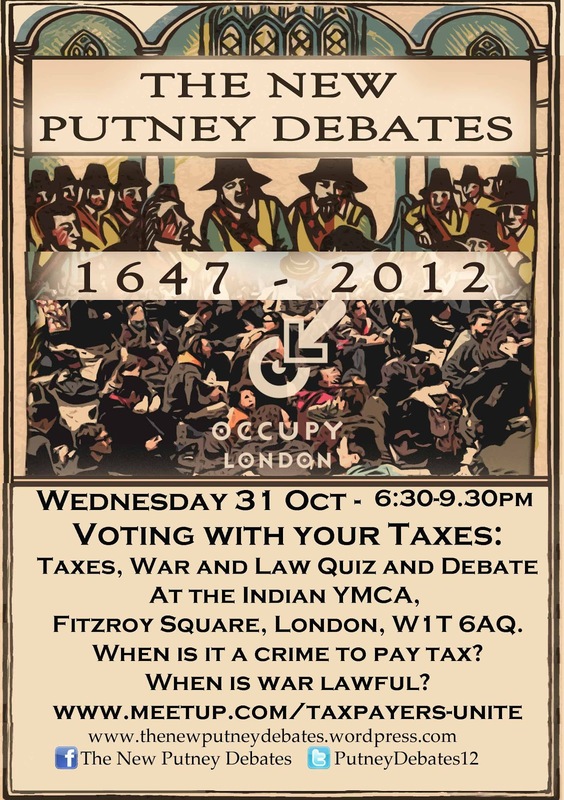 As part of the season of the New Putney Debates we are holding a public meeting on October 31st at the Indian YMCA in Fitzroy Square London W1T 6AQ between 6.30pm and 9.30pm. WHEN IS IT A CRIME TO PAY TAX? 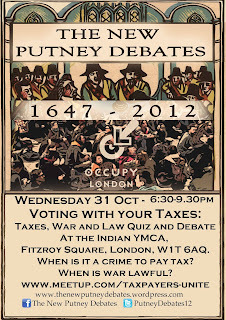 These and other questions will be part of a quiz to introduce the theme of Taxes, War and Law, followed by a discussion and proposals. 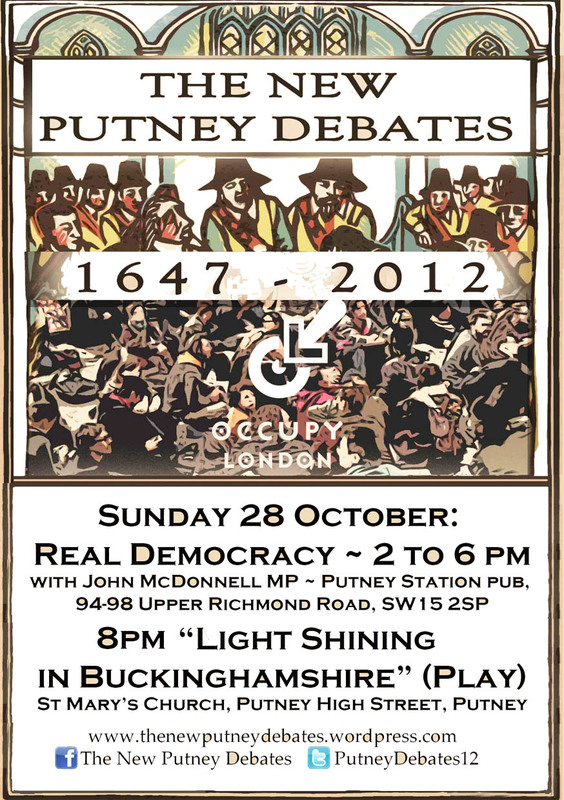 Occupy will be celebrating the 365th year anniversary of the Putney Debates by holding a series of events inspired by the Levellers’ and Diggers’ demands for social justice, civil rights and equal access to the land. The programme of events is scheduled between 27th October and 11th November 2012, and the venue for some events will be St. Mary’s Church in Putney where the Debates started on 28th October 1647. Contributors include Richard Wilkinson (The Spirit Level), Natalie Bennett (new Leader of the Green Party), Michael Mansfield QC, George Monbiot, Polly Higgins, Jeremy Leggett, John McDonnell MP, Halina Ward and Professor Conor Gearty. 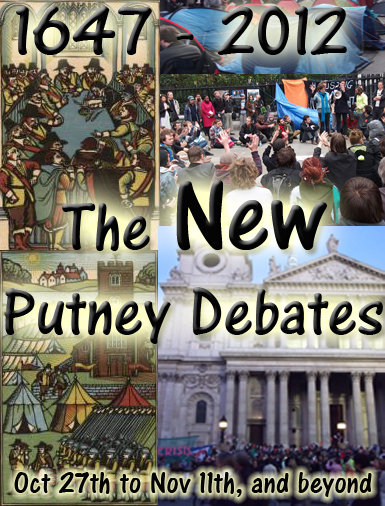 Throughout the New Putney Debates there will be an emphasis on public participation, in the spirit of 1647, when it was said that England was “A Nation of Prophets”.